My journey in real estate started in May 2001. During my more than 16 years working in real estate, I have received many top awards for excellence in real estate and have loved every year that I have been selling property. I believe one of my greatest assets in my job is my focus on the needs of my clients. It is important to me to keep my client base at a manageable level so I can guarantee personalised service at all times and help my clients achieve their goals. When people invite me into their homes to discuss the sale of their property, I concentrate on providing them with good, clean business advice because most consumer dissatisfaction comes from a difference between expectations and what is delivered. I feel it is the responsibility of the agent to establish key success parameters right from the start, no-one likes uncertainty. Absolute honesty and accountability are critical as you have to understand that I am the seller’s eyes and ears in the market. In deciding on which real estate agent you are going to select the question you truly need to ask is “how effective will the agent be in getting me the best price the market has to offer.” It is not a question for the price of real estate that is the influence... It is a question of 'by how much more the experienced agent can get for me'. Who you work with in any market really does matter. Many agents will tell you they can get the best price but how many can prove this through their track record and previous dealings. I am able to show you a growing list of testimonials from my previous sellers who can prove my history of achieving excellent sale prices and caring service for my clients and I am truly excited about the prospect of helping you with the sale of your home or property.
" I found Alla through Open Agents Australia as I didn't have any idea on how to find a Real Estate Agent. Being such a difficult market at the moment I knew I needed someone who knew the area well and had had recent successful sales in the same area. Alla didn't disappoint. Alla was just what I needed and from the moment I met her I knew she was the RE agent for me. As a first time home-seller she helped me throughout the whole process. She gave me excellent advice from listing prices to styling. She kept me updated and informed throughout the entire process. She was always available to answer my endless questions. “I would recommend Alla to any friend or associate in need of representation, she is a true professional, courteous, knowledgeable and diligent. She listens carefully and gives advice without pushing in any way. She knows the area well and understands what is reasonable and achievable in the market, she advises accordingly. I was very pleasantly surprised at the short length of time our property was on the market before a reasonable offer materialized in the current market (prices falling), the price we achieved was the price we discussed and agreed with Alla, I was relieved and delighted with the result. Our sincere thanks to Alla, to repeat, I recommend her to anyone in need of and honest, diligent, gentle agents, a fine lady, a pleasure to deal with at all times.”- Peter Saxon, Guildford. “Alla provided the personal touch we were looking for, when selling my husband’s childhood home. Her gentle confidence inspired us greatly and true to her word she sold our property within days of having it listed. Alla is not just a real estate agent who makes you sign on the bottom line; she is a genuine mediator who guides both seller and buyer through the process in an efficient yet considerate manner. We couldn’t recommend her more highly; she has secured lifelong clients in us.”- Rebecca Roberts. Dear Alla, The settlement of our property took place on the 12th of this month, we take the opportunity in thanking you for the success of the sale. You acted in a very professional manner and you were always thinking about our welfare, and totally committed to the sale taking place. Will we recommend you to everyone – BIG YES! Will we return to you if we are selling again – BIG YES! “I am absolutely delighted to recommend Alla for the outstanding service which she gave to achieve the successful sale of my property! Alla was 110% focused and totally committed to achieve success, without ever forfeiting her high standards of personal and work ethics! Due to inevitable circumstances, it was not an easy task ahead of her, however she accepted the challenge and showed that not only did she possess intimate and up-to-date knowledge of other listings and sales activity, but that she also had incredible knowledge and indeed a ‘bank’ of current buyers in the area. Alla’s approach to the task ahead was at all times committed, competent and a ‘cut above the rest’ in professionalism! She was polite, considerate and demonstrated amazing consistence and persistence. She never missed an opportunity to ask appropriate questions of her prospective buyers, thereby narrowing down and sorting out those who were ‘just looking’ from those who were ‘looking seriously’ and always followed up on whatever she promised. I was kept totally up-to-date at all times with ‘feedback’ throughout the entire sale process from listing to settlement. My property was sold with the most amazing demonstration of commitment I have ever known. Alla sold my property by her personal desire to provide unfailing service, both to her prospective buyers and to myself; so faithful to the task; so open and honest; so professional; so willing to go ‘that extra mile’ to assist her buyers to achieve their dream, and in doing so, achieved the asking price for my property! After the sale, Alla’s service did not cease or deteriorate! She followed the whole process through to settlement with the same enthusiasm and professionalism which she had shown form the beginning. Every step of the way was made smooth by the way Alla followed through with her sights set on finishing equally as well as she started! “Over the past six months Alla has sold four properties for me. Not only has she sold them in a short space of time but has exceeded my expectations at the sale price. I first met Alla at an open house and I was immediately taken by her attitude and sincerity, I knew from that first meeting that I wanted her to sell my houses. She approaches everything with a professional manner and I wish her all the best in her future career.”- Claudio Cattaneo. “In the competitive world of Real Estate it is hard to find honesty and integrity. But with Alla we never found cause to doubt her. Everything she promised us, she delivered.”- Jason Burnett. “I first met Alla when my partner and I were looking at some villas in Balga which were open for inspection. Alla was the salesperson. I didn’t buy any of those units as they were not suitable for my needs but I was impressed by Alla’s manner and bearing as she showed them to us. Some weeks later I was ready to put my house in Sirling on the market. I called Alla and two other agents. The other agents were experienced but neither impressed me to the extent that Alla did. I gave the listing to her. It was definitely the right decision. She really thinks about the client, the house, the state of the market and the best way to present. Her advice on preparation for sale was simple and clear and made a lot of sense. She moves quickly and remains focused on the job until it is done. She is very straight forward and professional in her work. Two weeks after listing Alla had brought forth several prospective buyers and skilfully managed the process of obtaining the best price form the most qualified buyer. It was the best result we could have obtained at the time. I needed to sell another house in Koondoola two years later and once again I gave the listing to Alla. The market was slowing down at the time but Alla didn’t neglect any opportunity. One buyer was only able to inspect the property after 6.30 on a winter’s night. Most agents would have tried to put them off until the weekend but Alla agreed to miss a personal engagement and show it at that time. They bought the property and did so at a favourable price. Alla understands the market and gives realistic advice about the value of properties, the state of the market and in particular, the best presentation of your property. If you choose her to sell your property or simply seek her advice on real estate matters you will find her completely professional, very well informed and totally focused on you situation. Because of work and other personal circumstances I have had to sell and buy again several times and I have dealt with several other real estate agents in the past. They varied from good to rather poor in their performance. Alla stands out from them all. She is undoubtedly the best I have dealt with. I am happy to recommend her.”- Des Young. “Alla was a very knowledgeable, polite and sincere person who made it her job to meet our needs. She discussed the idea of Set Date Sale and what it meant and entailed and was able to follow through and deliver a very pleasant sale price for our property within 3 days of the house going on the market!”- Christina DeBellis, Mt Hawthorn. “We chose Alla Torgashev because we believed she could attain the best price for our investment properties in Balga. I had the utmost confidence in Alla’s ability to conduct herself in a trustworthy and professional manner and always felt that she was honest with me and had my best interests at heart. 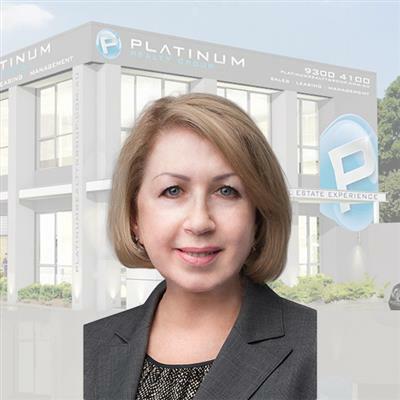 "To anyone that is contemplating selling their property, Colin and I would highly recommend they speak to “Alla Torgashev”, Senior Consultant. Our house has been on the market for an extended period of time and we had several land agents attempt to sell it, unsuccessfully. It was the service provided by Alla that finally achieved the sale. From our first meeting, we were immediately impressed with her professional approach, it was her skill, experience, honesty and passion as a land agent which achieve the outcome, others had been unable to deliver. We would highly recommend her services to anyone wishing to sell their property. On a personal note, if you are ever close by our area Alla, please pop in for a coffee, we would love to see you. Regards and many thanks. Colin & Georgina Civello – Balga"
'I am happy to write this testimonial for Alla Torgashev with whom my partner and I met at an open home. We were impressed with the way Alla presented herself and in the way she marketed the property for sale and explained the current property and market prices to us. Unfortunately the property did not suit our needs but had in mind to approach her in the near future when we were ready to sell our own property, which we did. Alla not only successfully sold 2 of my partner’s properties in a short period of time, but also sold another of my own property in a relatively short time at a good price. At a time where we were quite concerned about the property market due to an influx of houses trying to sell, she managed to convince us with her positive approach and work as hard as she could to help us achieve our expectations. The results were good, we were happy and not disappointed at all. I am happy to recommend Alla to anyone who is planning to sell their property and am confident she will achieve a good outcome for you too. Brilliantly located 3x2 home on a 315sqm block! BRAND NEW! THE BIGGER THE BETTER! $10.000 grant is still available for the first home buyers ! 1 SOLD ONLY 2 LEFT - BE QUICK ! BRAND NEW – 1 SOLD ONLY 2 LEFT BE QUICK !! Just completed! BRAND NEW wonderful villas with $10 000 grant still on offer for first home buyers! ANOTHER PROPERTY UNDER OFFER BY ALLA. First home buyers, a young couple this is fantastic opportunity for you to enter the market at a very affordable price! The bigger the better! and it could be yours for only $296 per week! All offers will be presented on the 6th of August. The owner has right to accept offers prior to this date. All offers will be presented on the 11th of June, but the sellers can accept the right offer prior to this date. If you are looking to develop right now or in the near future, you won’t find a better block for such an affordable price!